The counterargument is one of the most notoriously challenging concepts for English teachers to teach, and for students to learn. 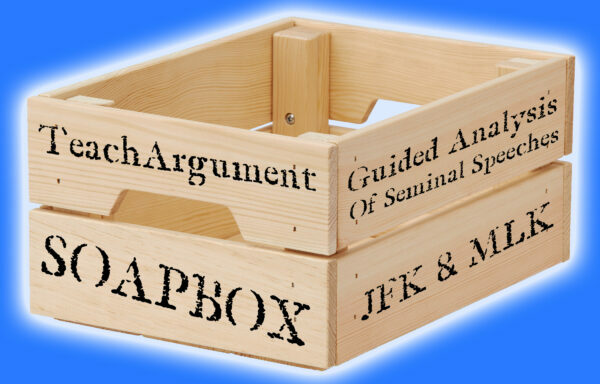 The counterargument lesson plan that follows has been designed, tested, and refined to better help students understand “counterargument” as a complex and delicate rhetorical strategy, rather than the simple mentioning of an opposing viewpoint. 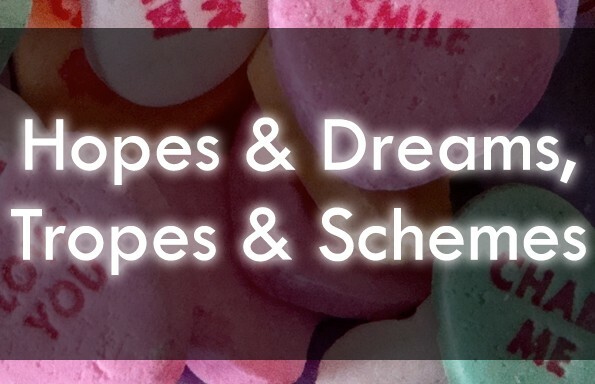 Simply put, this is a rockstar counterargument lesson plan, whether you’re just introducing the concept to your 6th graders or you’re cementing understanding in your AP seniors. 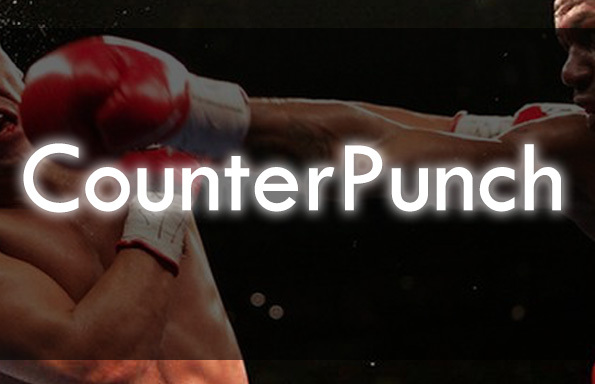 So, how does CounterPunch work? Begin by watching the counterargument lesson in the video embedded below. (You can use this clip with your students, or you can download the slideshow and lead it yourself.) 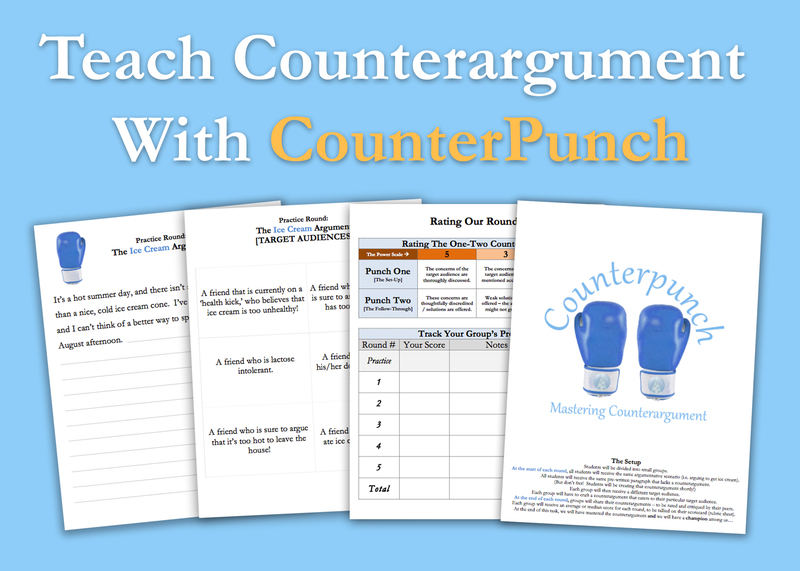 Then, use the “CounterPunch” lesson materials to give students the opportunity to practice and master counterargument! What makes this counterargument lesson plan so special? So what are you waiting for? 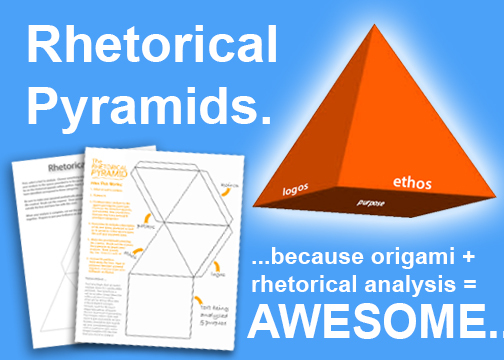 Add this awesome counterargument lesson plan to your repertoire now for only $5.99!